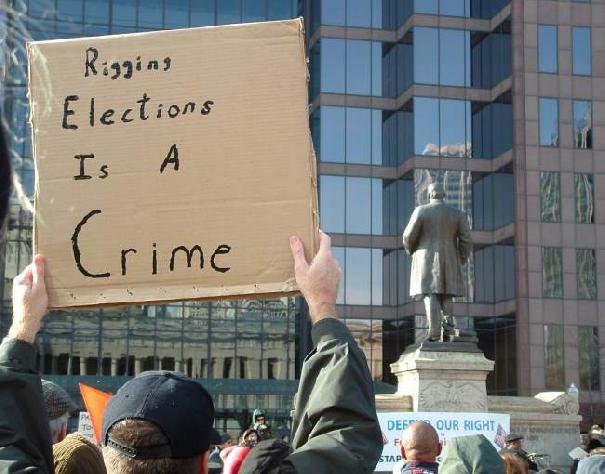 A jury found two Cuyahoga County elections workers guilty Wednesday of charges that they skirted Board of Elections procedures to thwart a countywide ballot recount after the divisive 2004 presidential election. The jury convicted Kathleen Dreamer, 40, of Cleveland and Jacqueline Maiden, 59, of Richmond Heights on one felony and one misdemeanor each. They each had been charged with seven counts and were exonerated on five apiece, including all charges that they knowingly conspired to break the law and violate their duties. Instead, they were found guilty of being criminally negligent. CLEVELAND (AP) — Three elections workers in the state's most populous county are set for trial on charges that they mishandled ballots during the 2004 presidential election recount. Opening statements were scheduled to begin Thursday [January 18th]. Charged with six counts each of misconduct are Jacqueline Maiden, the Cuyahoga County Board of Elections' coordinator, who was the board's third-highest ranking employee when she was indicted last March; Rosie Grier, manager of the board's ballot department; and Kathleen Dreamer, an assistant manager. The charges allege that Ohio laws were not followed in the selection and review of ballots for the recount. The most serious charges carry a maximum sentence of 18 months in prison. Cuyahoga County Prosecutor Bill Mason removed himself from the investigation because his office represents the elections board. Erie County Prosecutor Kevin Baxter was appointed special prosecutor.